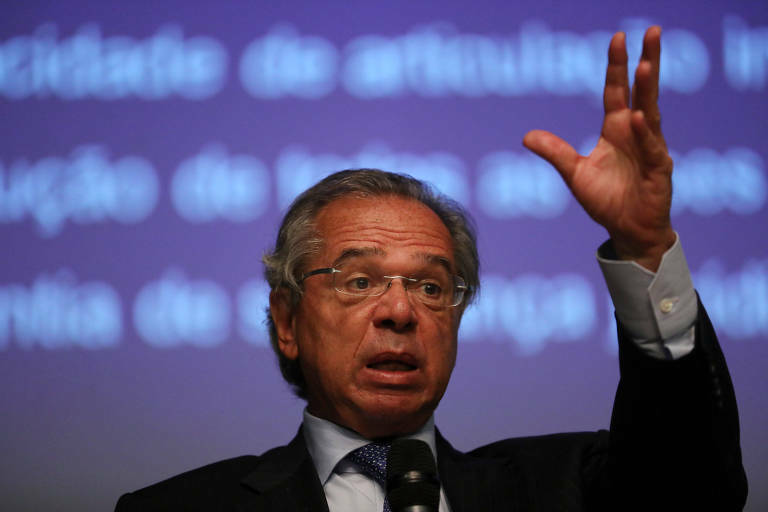 ​Finance minister Paulo Guedes compared on Friday (8th) Brazil's state-owned businesses to "children that ran away from home and now are addicted to drugs." He says they all should be sold to the private sector, but president Bolsonaro and his senior officers, many of whom with an Army background, asked him not to put everything for sale. "I kept saying that we should sell them [the companies] all, but naturally our president and the generals feel attached as if they were their children because they founded them. But I said, listen, your children ran away and now are addicted to drugs," he described, during an event about privatizations at BNDES (National Bank for Social and Economic Development). Guedes didn't mention any company by name, but the government already made it clear that Petrobras will not be put up for sale. The Finance minister said that the Brazilian government could no longer carry "nests of corruption," that is companies that operate at a loss and function as political leverage. "The old politics died. We don't know what the new one will be like, but we know that the old one is gone. Brazil's state companies won't feed the old way anymore," he said. He claimed that the privatizations could help cut public spending and allow for more social investments in public health, education, and security.